FreeBSD 10.0 is now available for the i386, amd64,ia64, powerpc, powerpc64, and sparc64 architectures. After two years since the release of FreeBSD 9 operating system developers represented release of FreeBSD 10.0, which became one of the most important releases in the history of the project. After two years since the last stable release, presented release non-linear editing system Pitivi 0.91, in which presented about 1,300 changes. The video editor is written in Python using the library GTK + (PyGTK) and can work with all audio and video formats supported in GStreamer, including the format MXF (Material eXchange Format). Code licensed under the LGPL. Among the features are the support Pitivi an unlimited number of layers , preservation of complete history of transactions with the fallback , display thumbnails on the timeline support typical operations of video and sound. This week in open source news: the release of the Linux Kernel 3.10, At the core of Linux 3.11 is enabled Lustre cluster file system, In the proprietary NVIDIA 325.08 driver dropped support for Linux 2.4 kernels, Officially dropped support for Ruby 1.8.7. Developers of the Linux kernel yesterday officially has been presented the version of Linux 3.10, which replaces the seventh release candidate version 3.10. In the mailing list for users of kernel development leader Linus Torvalds announced that the new version of the kernel is implemented the largest range of new features over the last year. The oldest torrent on The Pirate Bay is recognized film Revolution OS, devoted to open source software. On the eve of its tenth anniversary, the resource The Pirate Bay has assessed the oldest torrents are still active after more than nine years of the project. It is noteworthy that the oldest now in the hand of torrents is not associated with popular music and Hollywood blockbusters, and with the documentary Revolution OS, which tells the story of the birth of Linux, motion GNU, open and free software. The film features interviews with Linus Torvalds, Richard Stallman, Eric Raymond, Bruce Perens and many other participants in the development of free and open source software. Torrent with the film was downloaded 31 March 2004 and is still in demand. Among other records marked the largest torrent through which organized download archive project Geocities.com, after closing it by Yahoo in 2010. Upload size on the torrent of data is 641.32 GB. Torrent has the smallest size 3 kb and contains crack for Adobe Photoshop. The Pirate Bay will be turning 10 this year, quite the ripe old age for any … Pirate Bay torrent they could find, and came across Revolution OS. After 6 months of development before release multiplatform web-browser QupZilla 1.4.0, built using Qt and the browser engine WebKit (QtWebKit). The main goal of the project is to create QupZilla full browser that supports best features Firefox, Opera and Chrome, but while consuming significantly less resources – saving of memory, providing high performance and maintain responsiveness of the interface is given the highest priority. 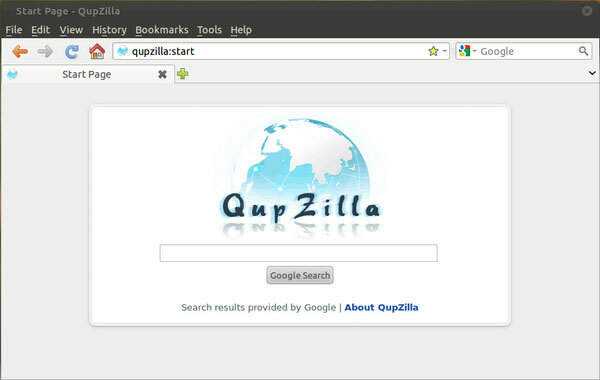 Source code QupZilla licensed under GPLv3. Binaries are available for most distributions of Linux, as well as Windows, OS / 2, and Haiku OS.